Ceduna Machinery is a privately owned & operated Company, established in 1996 by Leon & Joy Veerhuis. 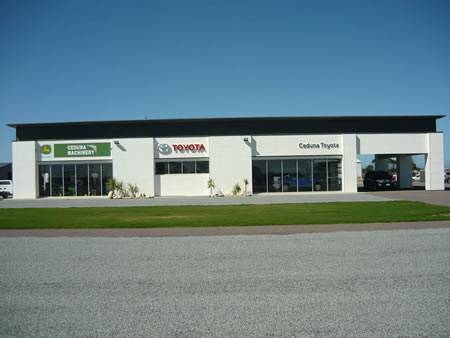 Ceduna Machinery specialize in the Supply & Maintenance of Agricultural Equipment & Toyota Vehicles on the Far West Coast of South Australia, featuring world leading brands such as John Deere, Toyota, Bourgault, Grizzly, Goldacres, Silvan & Stihl. Ceduna Machinery has built a reputation on first class service, product knowledge & customer satisfaction through a dedicated Part, Sales & Service Team.